Susan Evans is the Director, Office of Industry and State Outreach for the Alcohol and Tobacco Tax and Trade Bureau (TTB). In this role, Ms. Evans works to enhance TTB’s interactions with our state government counterparts as well as with TTB-regulated industry members and their representatives. Ms. Evans particularly focuses her efforts in the areas of communication, education, and customer service. Ms. Evans is a career federal employee who has worked for the Alcohol and Tobacco Tax and Trade Bureau (TTB) and its predecessor, the Bureau of Alcohol, Tobacco and Firearms (ATF), since 1988. 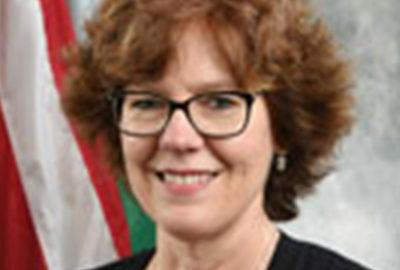 In her role as Director, Industry and State Outreach she draws from her previous positions, including time spent in the field as an inspector and in bureau headquarters as the head of the alcohol labeling and formulation division and as Assistant Administrator for Headquarters Operations. As part of her duties, Ms. Evans is available to address state government and industry forums on TTB-related issues, and is always happy to act as an initial point of contact for anyone with questions about TTB.